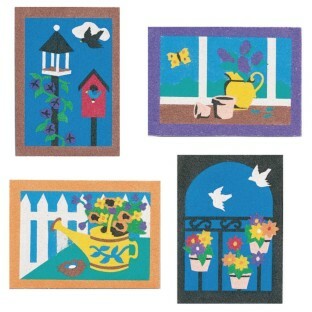 5" x 7" designs are precut on self-adhesive board. 3 each of 4 styles. Pack of 12. Sand sold separately. The younger girls enjoyed these. They were of the appropriate difficulity and alloed them to do their own thing as far as colors go. They are sweet for the younger girls.